30 Mar SkySpark: Data Analytics that Pay Off. What is SkySpark and its benefits? A conversation between Jim Kelsey, President of kW Engineering and Jonathan Schoenfeld, Director of Energy and Analytics at Kodaro. Jim: At kW we’ve been cautious about jumping on the “analytics” train. Not because it’s not promising, but really because there have been so many options, so many (sometimes ridiculous) claims, that it’s been hard to see exactly where software could have the biggest impact with the right attributes for success. With Skyspark we’re confident that we have a tool “with legs”. Jon: It’s unfortunate, but for a long time this industry has been filled with empty or misleading promises and underwhelming results. The first industry trailblazers were willing to claim success before delivering scalable products to the market. This culminated in a general skepticism amount the engineering community as well as many a spurned customer. SkySpark differs from the overwhelming majority of building analytics software products because it offers a platform for development rather than a one size fits all black box. What do you mean by “Analytics”? Skyspark is the latter category and uses system-level data that is imported to the platform from the building automation system. Engineering shops or customers can develop fault detection algorithms – you don’t have to wait for others to develop them for you. But you use a common platform – software that you don’t have to develop in house that is specifically suited to the task. You can easily develop your own customer-facing reports and web portals so building owners and operators can focus on what’s important to them. One thing that has been important to us is that If we see a new need we can meet it ourselves. With other centralized analytics approaches, we have to wait for others to develop unique approaches to unique scenarios. Anyone who’s spent time in buildings knows that sometimes there seem to be more exceptions than rules in individual HVAC designs. Jon: SkySpark is more than just a systems-level analytics platform. 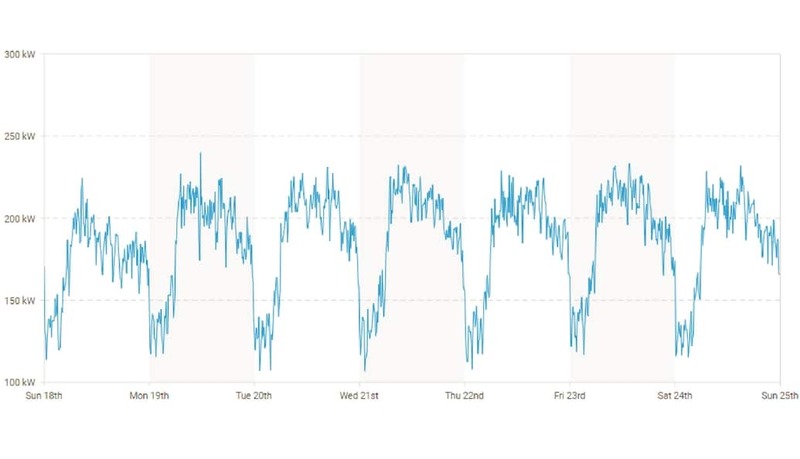 It can be programmed to provide whole-building analytics with interval data or provide insights from circuit level monitoring. SkySpark’s platform based approach to analytics mean that it’s only limitation is the imagination of its providers. The platform itself can also be enhanced. Developers and OEMs like Kodaro are working to improve upon SkySparks functionality and usability to make it even easier to apply to a wide range of buildings quickly and easily. Jim: One great efficiency of working with Skyspark is portability. The “sparks” are portable – the approaches we develop for one building can be copied and used to detect faults at other buildings. Jon: One of the biggest challenges we see with analytics as a whole is that many end-users don’t have the mechanisms in place to act on all the findings once the system is installed. What is kW doing to help bridge the gap between recommendations and action? Jim: For many types of controls systems, we can make the changes to the controls systems ourselves. But we prefer to work side-by-side with the controls techs who run the building. That way we’re all “rowing the same direction.” The last thing we want to do is to make a control change that the site staff don’t agree with. That gets us nowhere fast. When we started using SkySpark, Kodaro assisted with integration and provided training to get us up to speed and ready to run with projects independently. What else does Kodaro do to help new companies add analytics to their repertoire? Jon: Adding a new service can seem like a daunting task, so we try to make it as easy as possible. We offer everything from complete, turnkey installations in our secure, cloud-hosted environment to rules and reporting packages to hardware for on-prem projects to drivers for easy integration of BAS data. Just as each user has different needs, providers need different levels of support to get there service off the ground. Jim: In terms of market adopters, It seems to me like we’re beyond just the early innovators. Where do you think we are in terms of the traditional market acceptance curve? 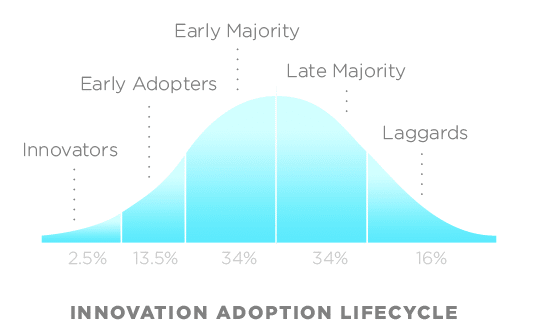 Jon: I’d say we are still in the early adopters phase. There are plenty of buildings out there with only pneumatic controls, let alone a sophisticated analytics platform. There is so much opportunity and so much potential out there, that’s what makes this field so exciting. Jim: I mentioned earlier that we’ve found it cost effective. So far we’re applying it in two areas: 1) in commissioning new buildings where we can, for example, test all the VAV boxes rather than a sample and 2)for retro-commissioning existing buildings, and leaving a system that continues to flag faults once we’ve gone. Are there other applications that you’ve seen? Jon: Those certainly are great applications, but we have been seeing SkySpark expand into many other applications, including measurement & verification, tenant billing, data driven maintenance, and even real-time optimization. As I mentioned earlier, there aren’t many technical limitations for this platform. Jim: What are the biggest challenges to installation and what can building owners do to make their controls more “SkySpark-friendly”? Jon: While there are many control systems that easily connect and integrate into SkySpark there are still many systems that take an extra effort. Older proprietary control systems can often be difficult because by design, the data is not accessible by third-party applications. Building owners should insist their new projects are installed with open-protocol control systems and a standard point naming scheme. For more information on this topic check out our whitepaper about designing control system for analytics.